Do you want to server a unique pumpkin cake? 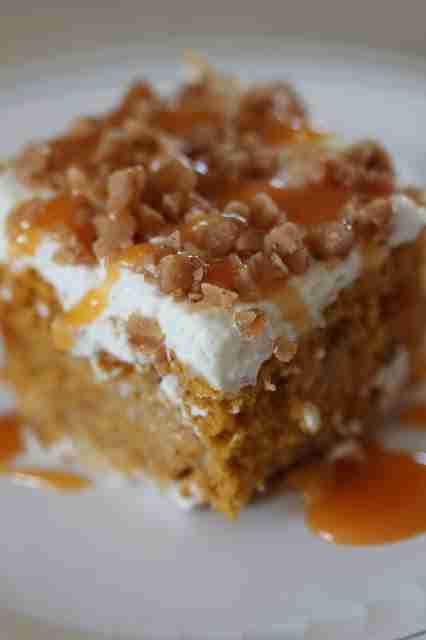 How about giving this Pumpkin Poke Cake Recipe a try. The Pumpkin Poke Cake ingredients are listed below. The Pumpkin Poke Cake ingredients and cooking instructions can be viewed through the link below.